Grew up with Conti St. Petersburg (Russia) youth teams. Signed for the 2007-08 season by Unics Kazan. Signed for the 2010-11 season by Enisey Krasnoyarsk. Signed for the 2011-12 season by Spartak St. Petersburg. Signed for the 2012-13 season by Unics Kazan. Signed for the 2014-15 season by Enisey Krasnoyarsk. Signed for the 2016-17 season by Zenit St. Petersburg. 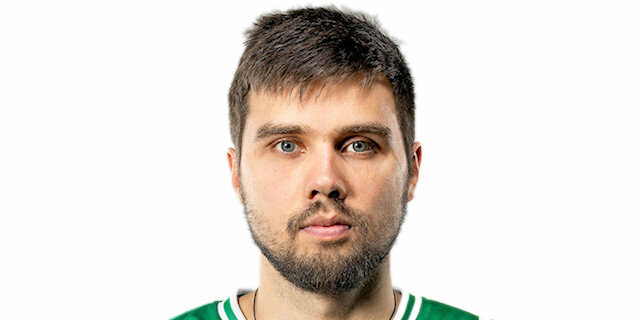 Signed for the 2017-18 season by Unics Kazan.